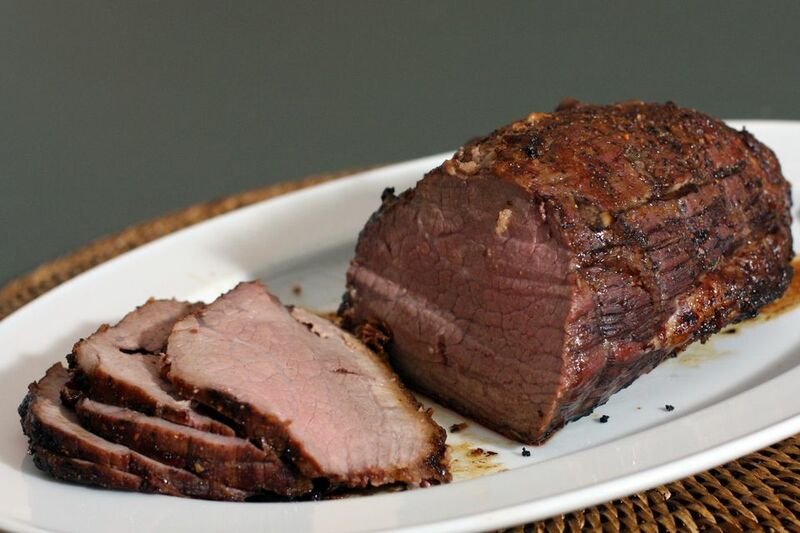 A simple apple juice marinade, garlic, and seasonings flavor this lean beef roast. Serve with mashed potatoes and your favorite steamed vegetables for a hearty and delicious everyday meal or Sunday dinner. With a paring knife, cut deep slits in the beef roast and bury a sliver of the garlic in each. Space them evenly over the roast. Combine the paprika, chili powder, garlic powder, cumin, 1/2 teaspoon salt, and pepper; rub over the roast and place in a large food storage bag. Add the oil and apple juice. Seal the bag, refrigerate, and let marinate for 2 hours. Place the roast in a shallow pan and roast, uncovered, for about 25 minutes per pound, or to about 145 F on a meat thermometer for medium rare.